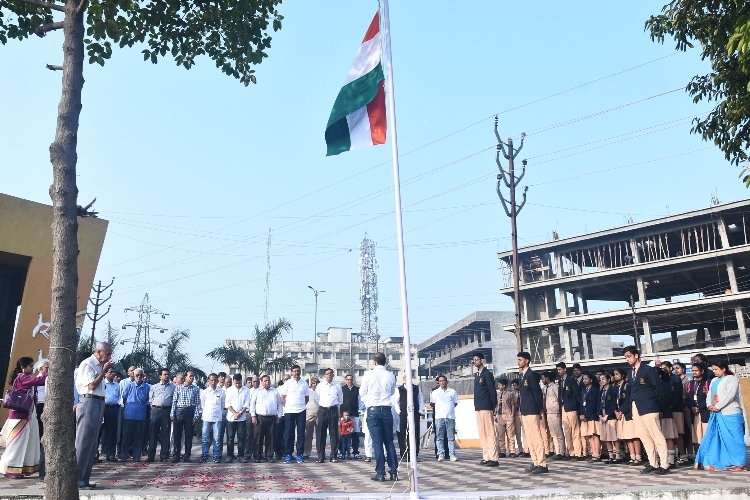 The 70th Republic Day was celebrated on 26th January 2019 at VIA Ground as done every year. 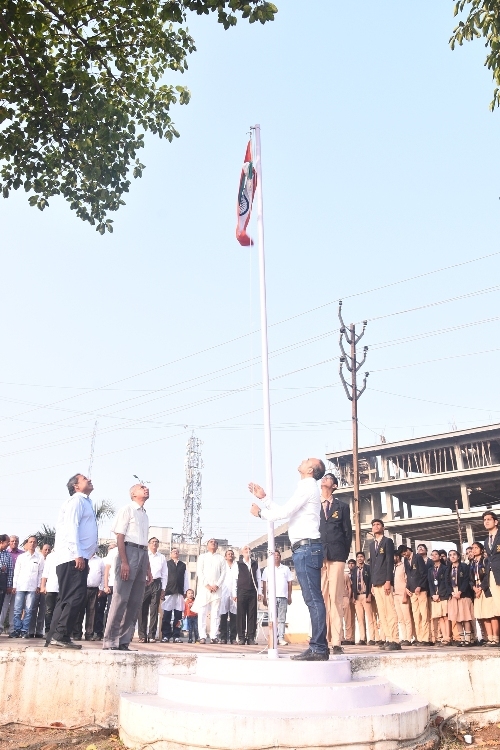 The flag hoisting was done by Shri Prakash Bhadra, President, VIA in presence of Shri Satish Patel, Hon. 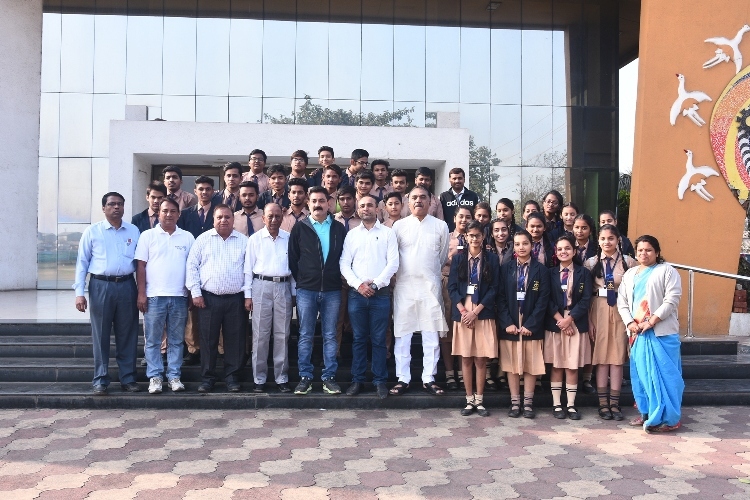 Secretary, VIA, many committee members namely7 – Shri Suresh Patel, Shri Magan Savalia, Shri Chetan Patel, Shri Hemant Patel, Shri Kamlesh Patel, Shri Lalit Arora, Shri Lalit Kothari, Shri Hasmukh Patel, Shri Ketan Thakkar, Shri Kantibhai Gogdani and the teachers and students of St. Xavier’s High School, Vapi, members of Senior Citizen’s Club of Vapi. 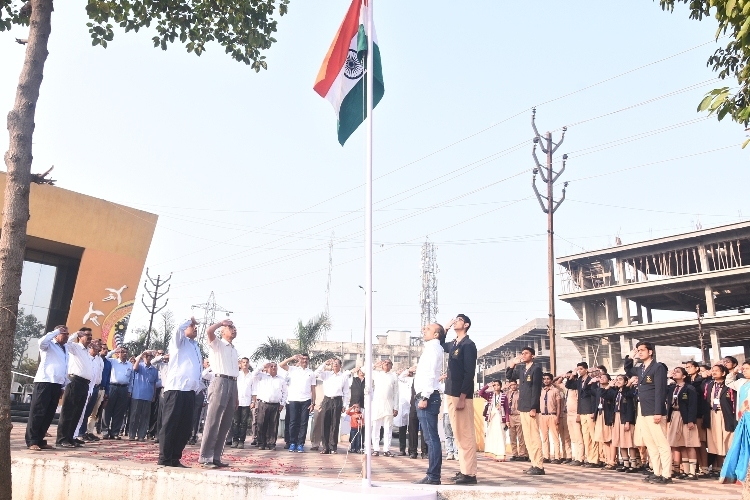 After the flag hoisting during his address to the present Shri Prakash Bhadra acknowledged the contribution of the Defense personnel in safeguarding our country. 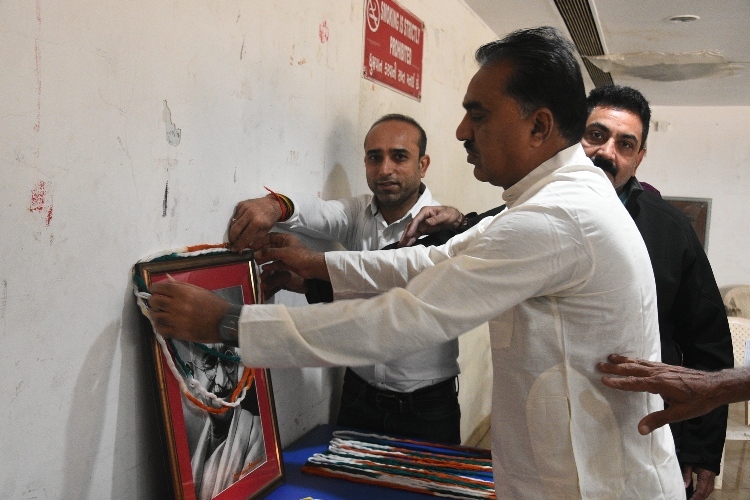 He expressed the importance of contribution of individual citizens in building and progress of the nation. He also stated that VIA is involved in may activities exercised for the well being of the citizens and the society and keep doing so in the coming days too.